I think reverencing my husband begins with my attitude. It involves training my mind to think positive thoughts about my husband, refusing to dwell on the negatives. Then it moves to actions as I look for ways to please and encourage him. What are some practical ways that I can reverence my husband? Here are just a few ideas. Meet his basic needs. Fix his breakfast, pack his lunch, make meals that he likes. Provide a neat and comfortable place for him to relax at the end of the day. Speak to him with words of encouragement and without nagging. Learn when it’s best not to say anything at all. Ask for his opinion and be willing to accept and follow through on his advice. Praise him in front of the children. Let them know that he is a good man, a good father, a good provider. Defer to his wishes. If he likes things done a certain way, do them that way rather than persist in doing what I think is best. Am I to reverence my husband only if he treats me perfectly? No. That would be easy to do in my human effort. It is when, in my flesh, I want to put myself first, but instead yield to the Holy Spirit and give my husband preference, that I can see God’s hand at work in my marriage. 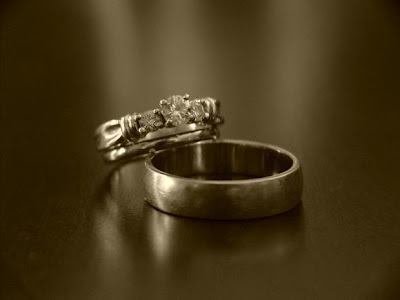 Can you think of some other ways that we might reverence our husbands? These are great suggestions! Thanks for reminding me how important this is. Thanks for the suggestions, Tracey. I needed this reminder. It also means a lot to my husband when I meet him at the door when he comes home from work. I don't always do it, but he likes it. I'm right there with you! I write about these things because I'm convicted about them in my own life.